I am afraid a lot of my blogs will be dedicated to various lip products because I am completely obsessed with them. I spend a significant portion of my life (and funds) researching lip balms and lipsticks, lip glosses and stains. Partially my obsession can be justified: my lips are very dry and need constant nourishment. But to be honest, I just love all lip-related products. 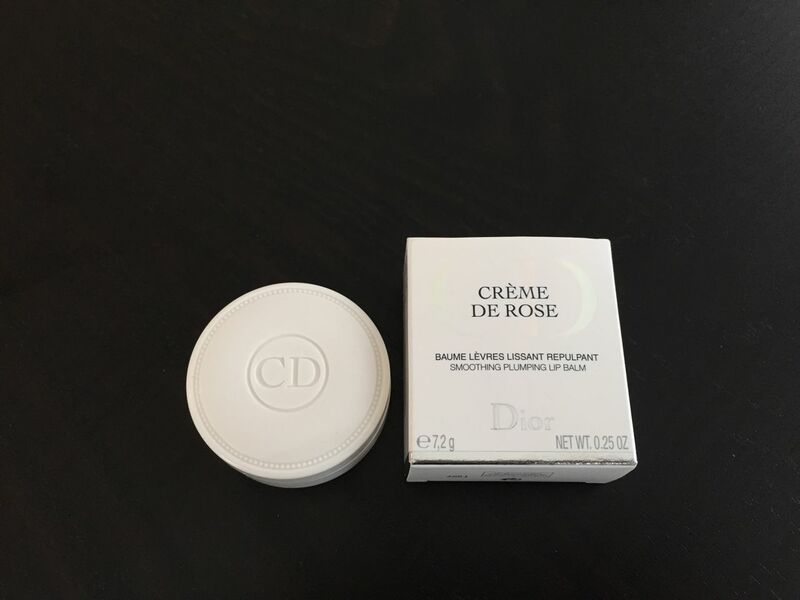 Today I would like to tell you about Dior famous Crème de Rose lip balm. A lot has been said about it but I still feel like the Internet can survive my two cents. 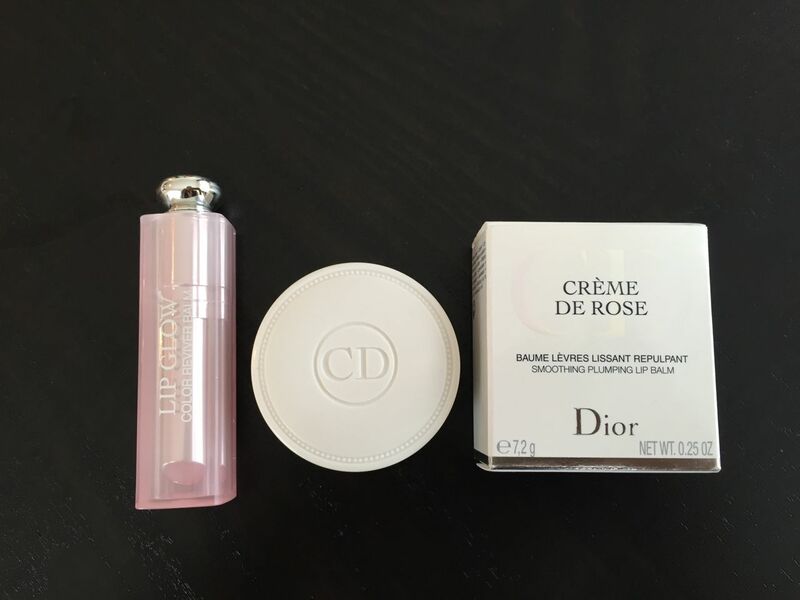 I can’t say that with Dior Crème de Rose my search really stopped (I don’t think it ever will – too much fun) but it did slow down. First of all, it is quite pricey ($27) and I wouldn’t say that this price is necessarily justified for everybody. It all depends on how desperate you are with your lips. If you are lucky one and your lips are in pretty good condition and you just want a moisturizer – go with any drugstore chapstick or something reasonably priced like Jack Black or Tony Moly lip balm. 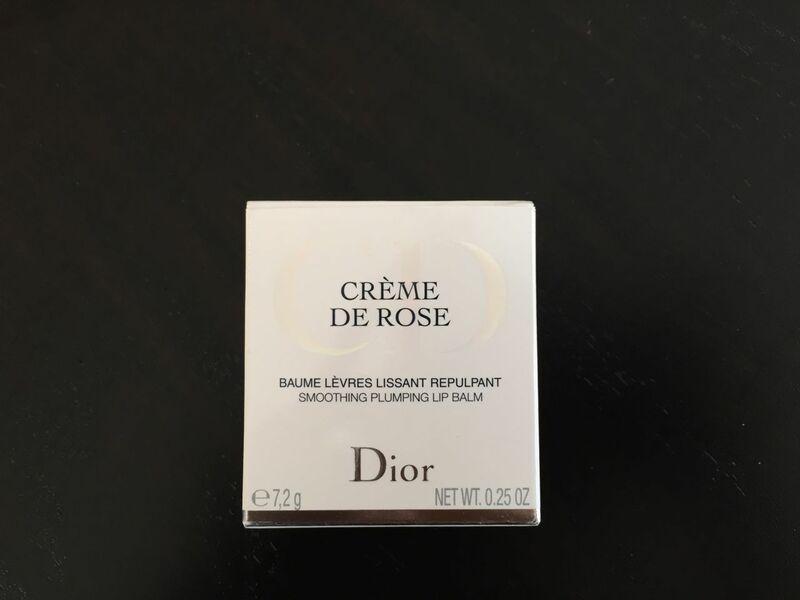 If you are like me, that is, you have permanently dry lips (mine are so dry that bleed), tried dozens of lip balms and most of them didn’t work, I would definitely recommend trying Dior Crème de Rose. This balm comes in classic, 60s style white packaging – I can easily imagine it on a vanity table of Audrey Hepburn. In certain way it is Dior’s tribute to 60s – this lip balm is a sister product of Crème Abricot, a nail care product that’s been around for more than forty years. The lip balm comes in universal baby girl pink shade and looks almost transparent on lips. It has SPF 10 which is pretty cool but not a deal breaker for me. 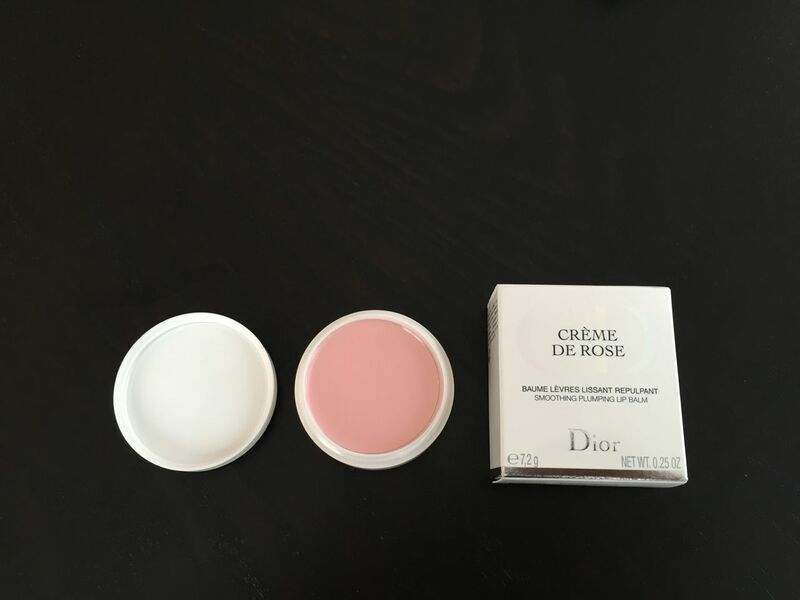 Dior recommends using Crème de Rose in a few ways: 1) as a primer before lipstick; 2) alone, 3) at night. I think the best way to use it is at night. Why? First of all, because this lip balm is very creamy and rather dense – lipstick won’t absorb into the lips properly if they covered with such thick substance. The lipstick will glide over the lip balm. Moreover, the balm does have a tiny bit of color, so depending on the pigmentation of your lipstick, that might matter too. Second of all, and that is also a reason why I wouldn’t wear during the day, the balm has a very strong rose smell. Not that I mind rose scents – I actually like them. The problem is that if you drink or eat, you’ll feel like you spiced your drink and food with rose extract. For nighttime this lip balm is absolutely perfect. I apply it right before I go to bed. I put a thick layer of it on my lips and it feels more like a lip mask than a balm. The whole experience is nice: lips feel soothed and nourished in as little as 20 minutes. In the morning results are amazing: lips are much more moisturized, softer and plumped. This balm also really helps if you experience badly cracked lips: it helps heal them. I’ve been putting it on every night for about three weeks and I can see a big difference. My lips are not nearly chapped as they were before, I don’t have breaks on the lip surface anymore – overall, I am very happy. Of course, I still constantly moisturize my lips during the day – there are no miracles in this world, my dear ladies, but Crème de Rose is definitely doing something very special for my lips. Now time for some gossip: I read recently at a couple of websites on the Internet that Crème de Rose is being discontinued. I didn’t find any information on the Dior website and Dior is still selling it, so, I don’t know how true that information is. I hope they never discontinue it because it is such a classy and luxurious product.